I few months ago, I participated in the crowdfunding of a cheap Bluetooth Low Energy LED Bulb. Raised money was pitiful but project went ahead under a new name and I received my bulb anyway. 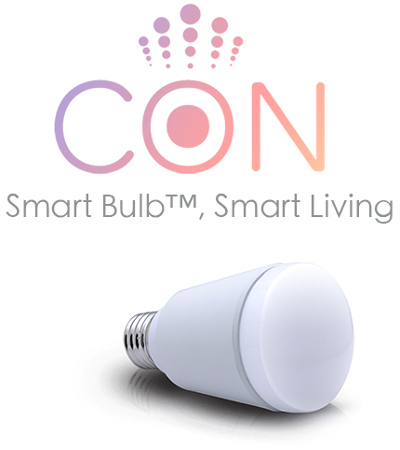 If you ask me, the name "Con Bulb" sounds odd both in English or in French (not for the same reasons) but this is not the point here so let's move on! The website provides a link to apps (iOS and Android) but nothing else. These apps sort of work but since there is zero documentation, it's hard to guess what some functions/buttons are. And obviously, no info about the protocol used. After a bit of research, I found that the light was basically a TINT B730 by Shenzhen LEDE Technology. And that the API seems totally proprietary. 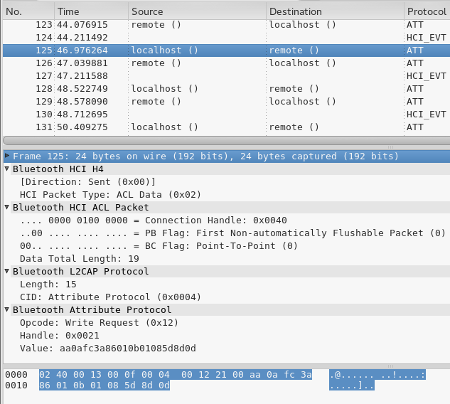 New versions of Android (>=4.4) have a nice feature called Bluetooth HCI snoop log. First, you need to activate the Developer Options by taping 7 times on Build number in your settings. Then by activating the option "Bluetooth HCI snoop log", all the Bluetooth traffic will be recorded in a file (in /storage/emulated/0/Android/data/btsnoop_hci.log on my phone running Lollipop). This file can then be read with Wireshark on a computer. By matching the actions on the app to the BLE commands, I came up with a (incomplete but sufficient) list of commands. Using bluepy and a bit of Python, it is possible to control the light easily. Beware, the protocol is only partially implemented and communication is only unidirectional (computer to bulb) without waiting for any feedback. It might be a very bad idea to send commands at random (eg white temperature while in RGB mode) and/or too quickly. This page is for informational purposes only... You assume total responsibility and use at your own risk!